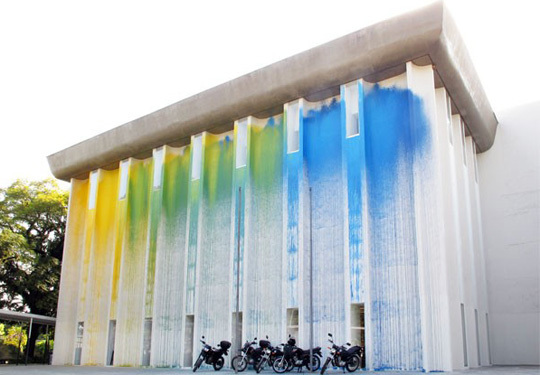 The exterior of the Museum of Image and Sound, Sao Paulo has received the Krink treatment. This entry was posted in Art, Street Art and tagged Art, Krink, Paint. Bookmark the permalink.